Format: Vinyl Record LP, Globestyle Records. UK release from 1988. 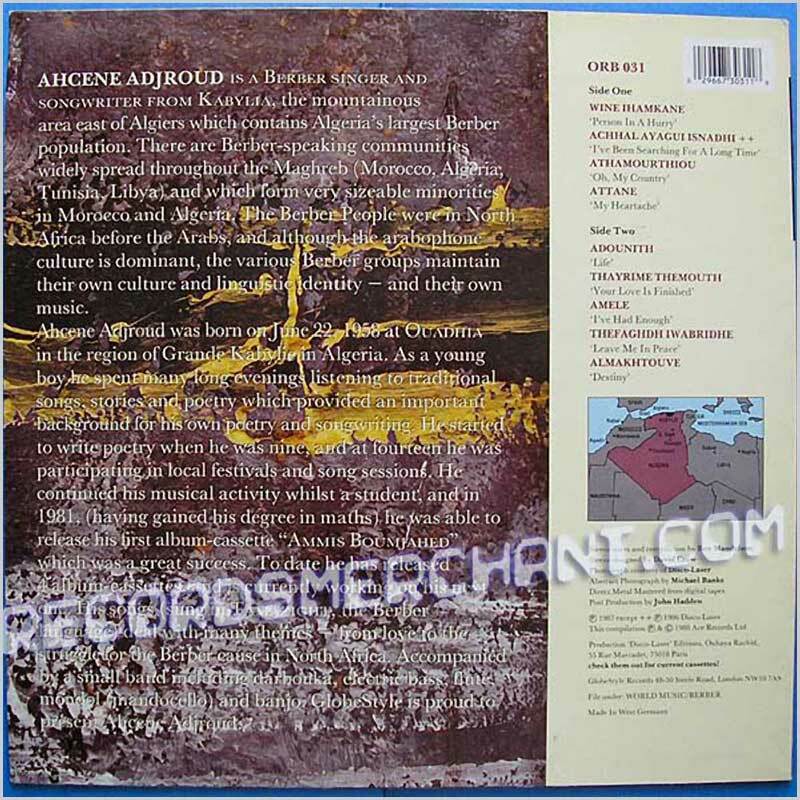 Modern Kabyle Music from Algeria Ahgcene Adjroud is a Berber singer and songwriter from Kabilia, the mountainous area east of Algiers. 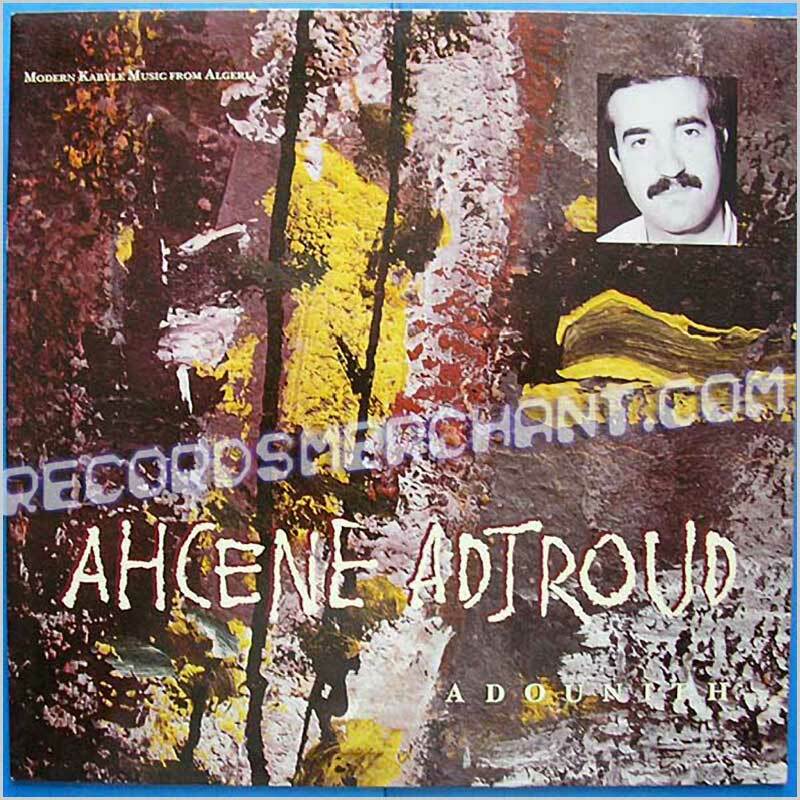 9 tracks including: Wine Ihamkane, Achhal Ayagui Isnadhi , Athamourthiou, Attane, Adounith, Thayrime Themouth, Amele, Thefaghdh Iwabridhe, Almakhtouve. Jacket and vinyl in great shape, vinyl looks unplayed. 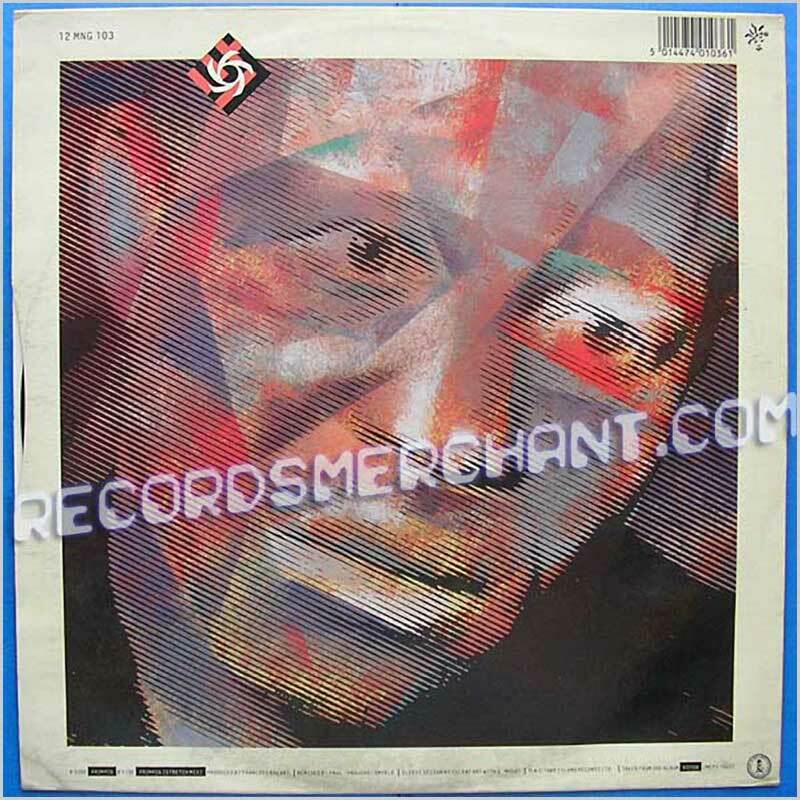 Format: Vinyl Record LP, Sonodisc Records. French release from 1993. 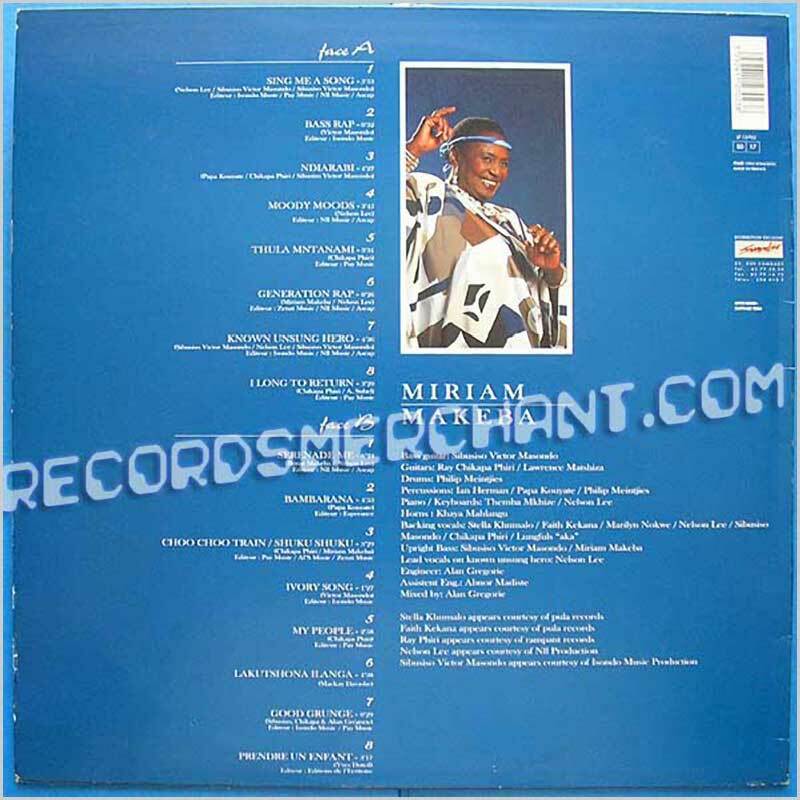 Hard to find later release from top South African singer. 16 tracks including: Sing Me A Song, Bass Rap, Ndiarabi, Moody Moods, Thula Mntanami, Generation Rap, Known Unsung Hero, I Long To Return, Serenade Me, Bambarana, Choo Choo Train, Ivory Song, My People, Lovely Lies , Lakutshona Ilanga, Good Grunge, Prendre Un Enfant. Vinyl looks unplayed. Format: Vinyl Record LP, Globestyle Records. UK release from 1989. 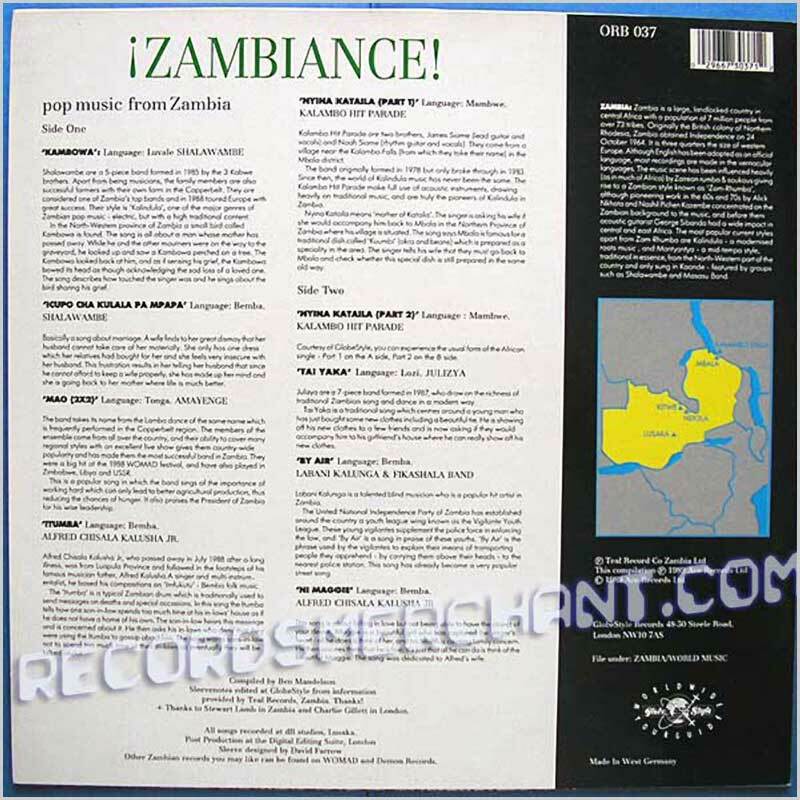 Popular music from Zambia from the 1980s. Their music, Zam-Rhumba, is influenced by that coming from Congo (Zaire); Rhumba and Soukous. 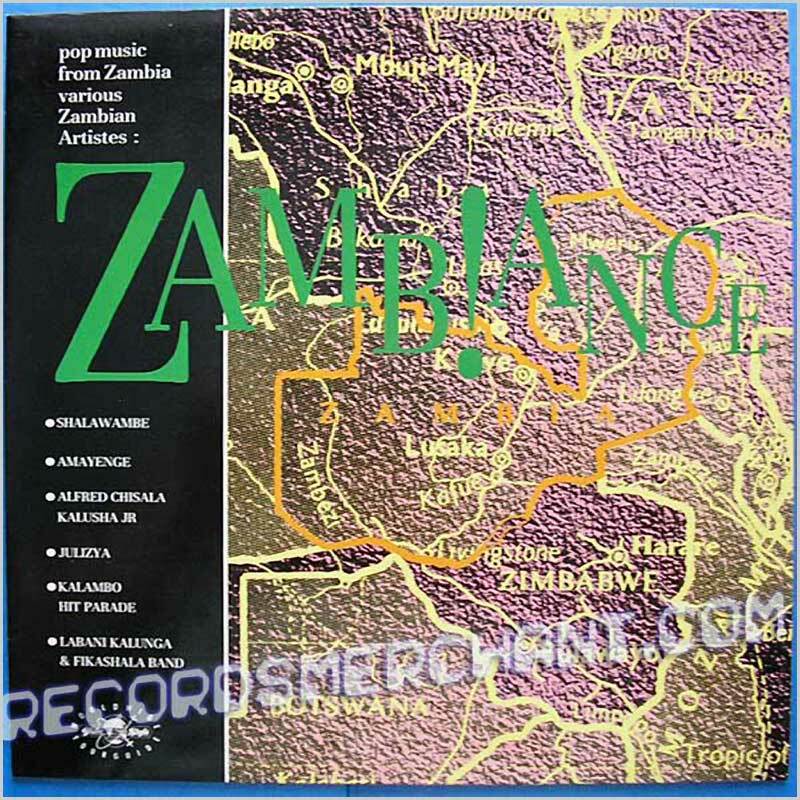 9 tracks including: Shalawambe - Kambowa; Shalawambe - Icopo Cha Kulala Pa Mpapa; Amayenge - Mao (2x2); Alfred Chisala Kalusha Jr - Itumba; Kalambo Hit Parade - Nyina Kataila (Part 1); Kalambo Hit Parade - Nyina Kataila (Part 2); Julizya - Tai Yaka; Labani Kalunga & Fikashala Band - By Air; Alfred Chisala Kalusha Jr - Ni Maggie. Jacket and vinyl in great shape, vinyl looks unplayed. Format: Vinyl Record 12in, Mango Records. UK release from 1989. 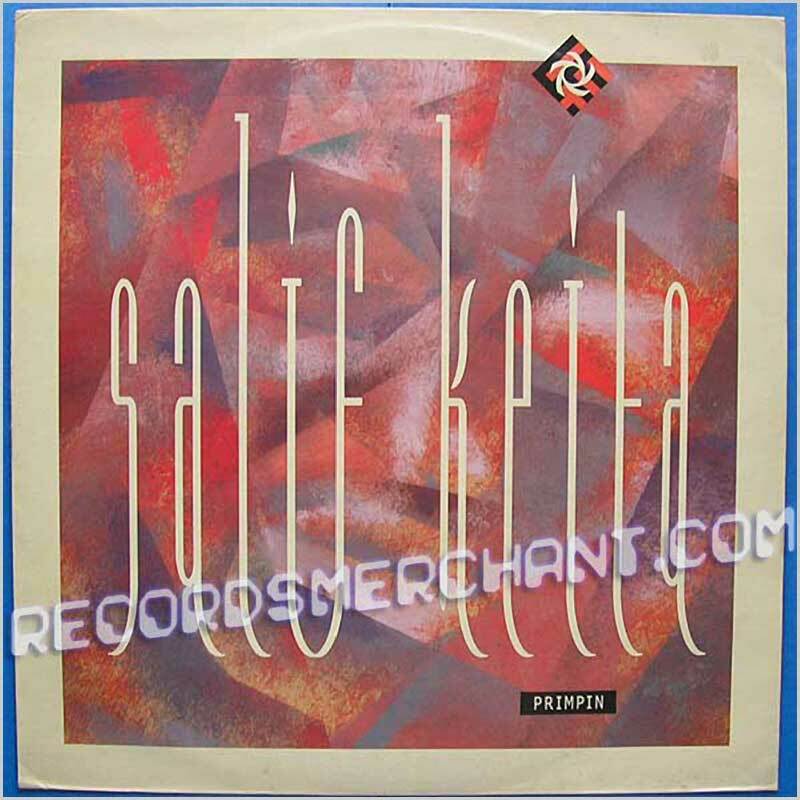 Salif Keita remixed by Paul 'Groucho' Smykle. 2 tracks including: Primpin, Primpin (Stretchmix). Format: Vinyl Record LP, Globestyle Records. UK release from 1989. 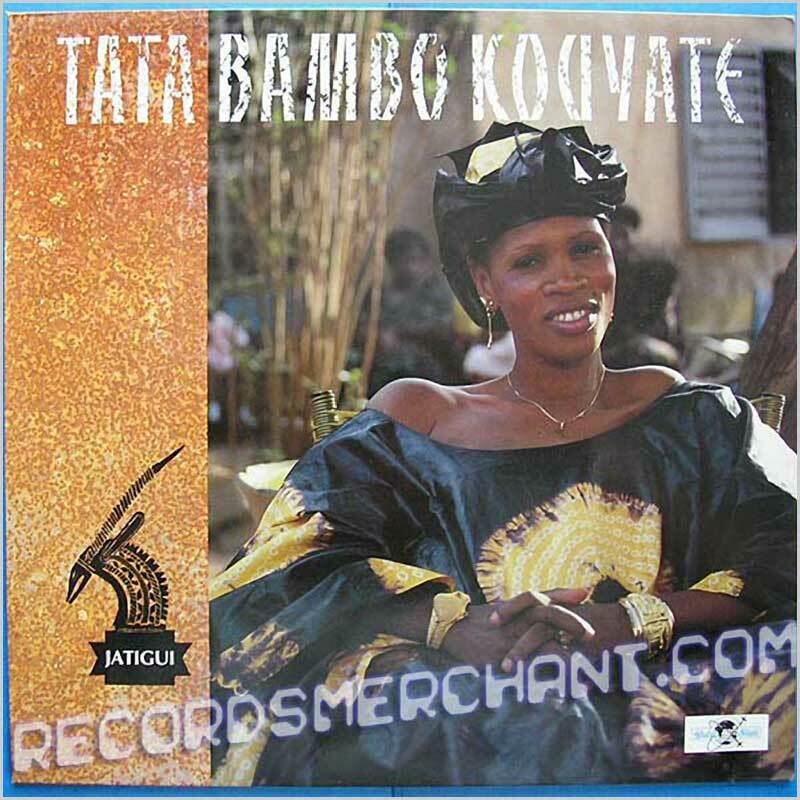 Excellent album from young female singer from Mali. 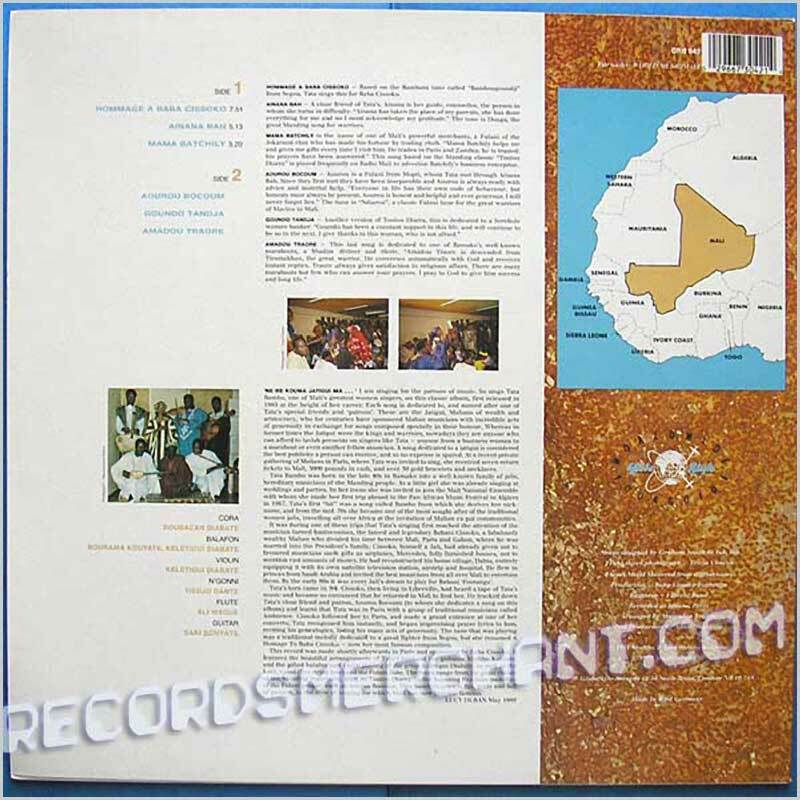 6 tracks including: Hommage A Baba Cissoko, Ainana Bah, Mama Batchily, Aourou Bocoum, Goundo Tandja, Amadou Traore. 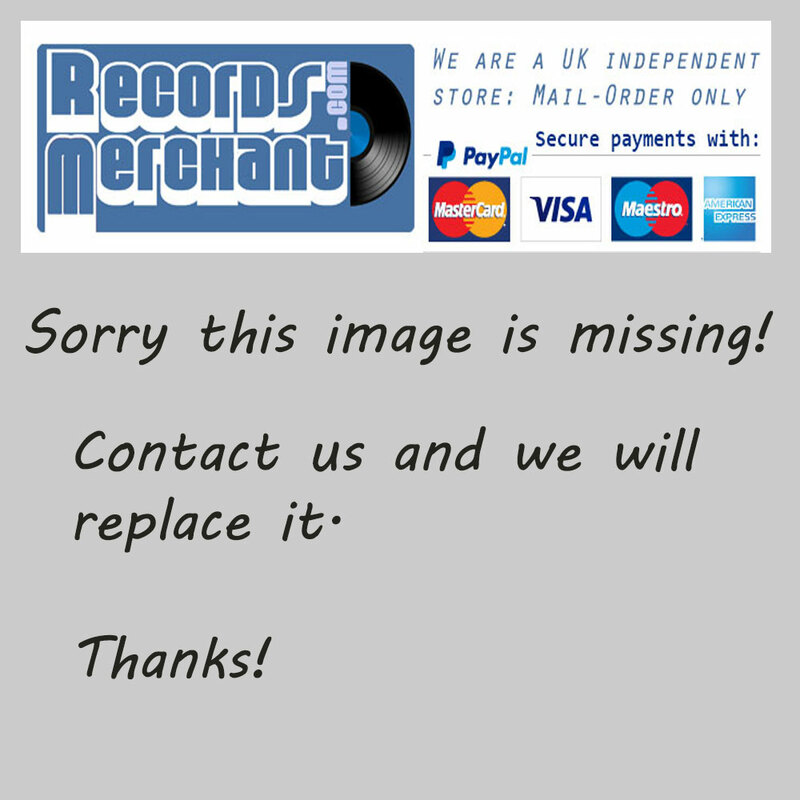 Format: Vinyl Record LP, New King Records. New King Records, French release from 1984. 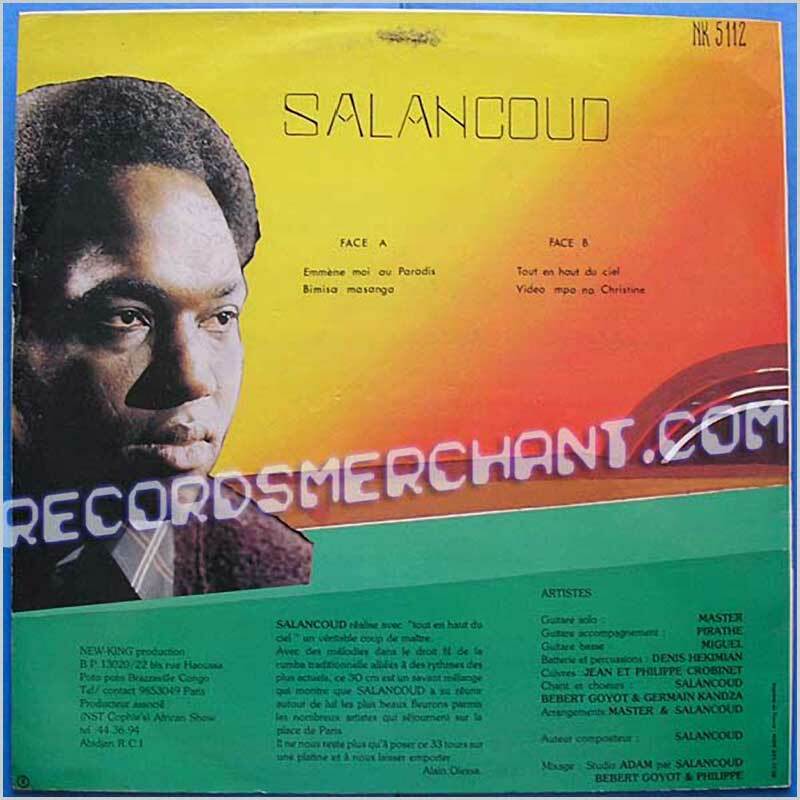 African Congo music from singer, composer and Arranger Salancoud. 4 tracks including: Emmene Moi Au Paradis, Bimisa Masanga, Tout En Haut Du Ciel, Video Mpo Na Christine. Format: Vinyl Record LP, Mayala Records. 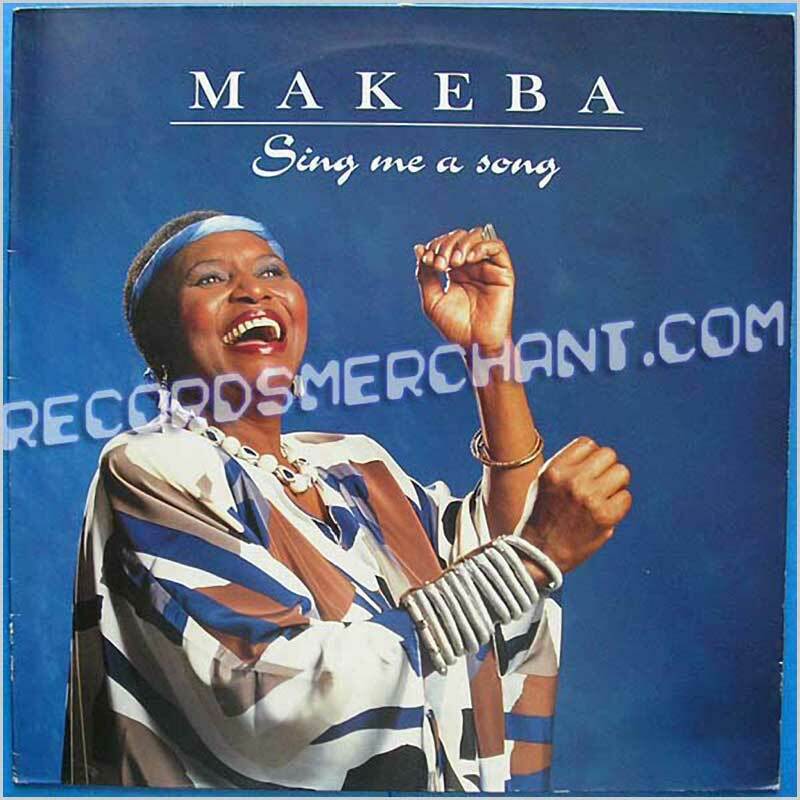 Mayala Records, French release from 1987. 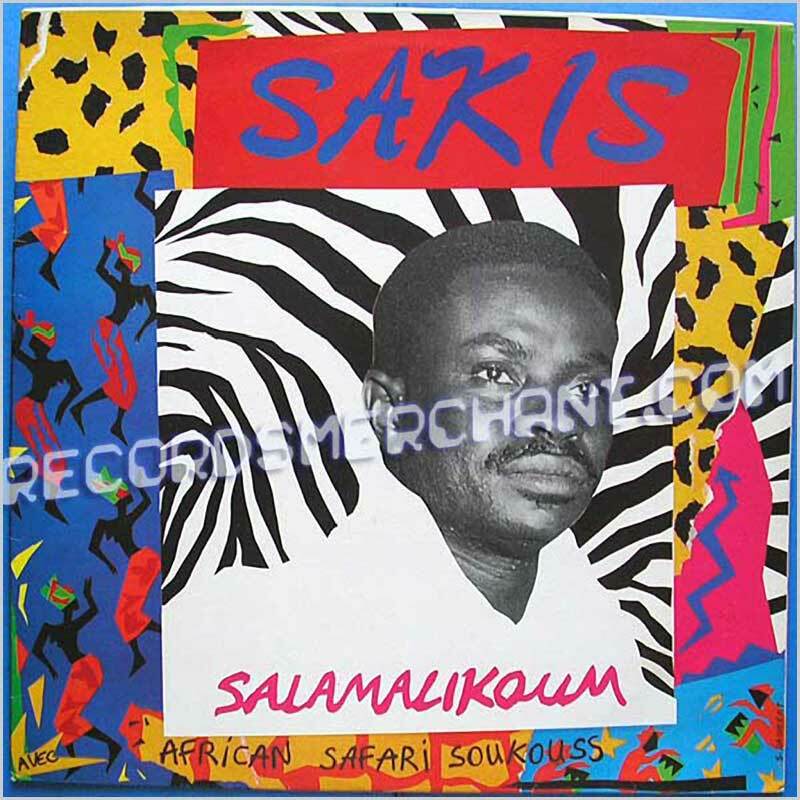 African Soukous music from Emmanuel Nsakala. 6 tracks including: Le Manding, Marceline, Cherie-Ye, Salamalikoum, Mina-Kupenda, Ngoma. 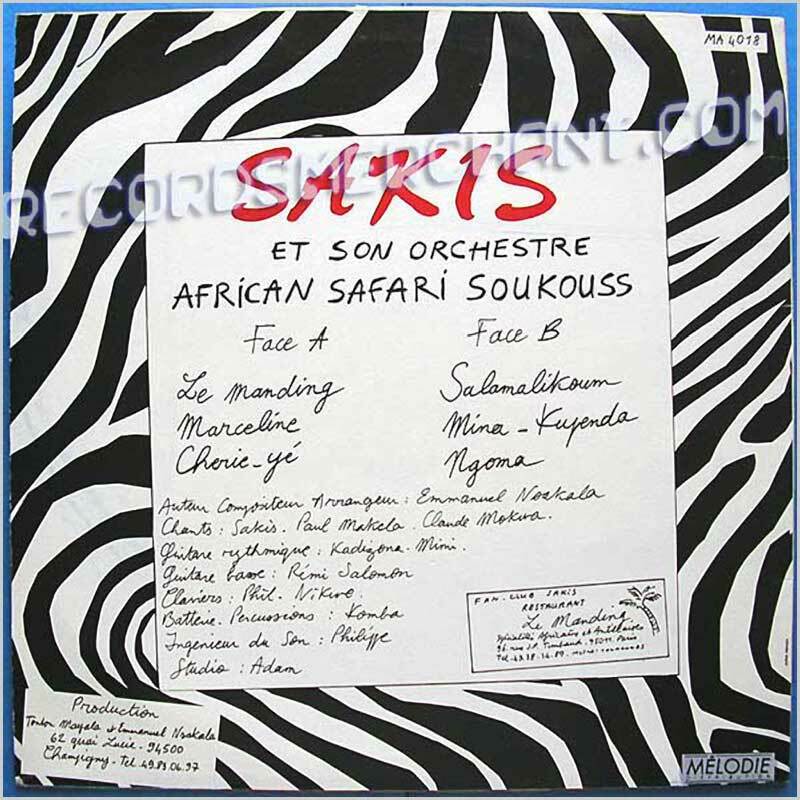 Format: Vinyl Record LP, Safari Sound Records. 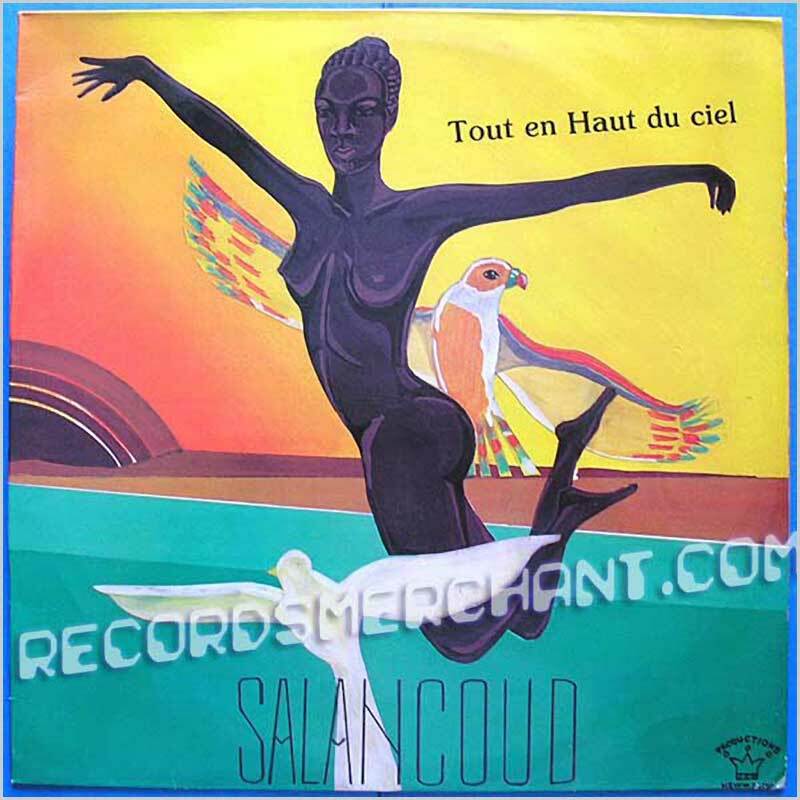 Safari Sound Records, French release, no date. Classic Congolese rumba music. Kosmos (real name Come Moutouari), Congolese singer; Congo-Brazzaville, July 25, 1944. 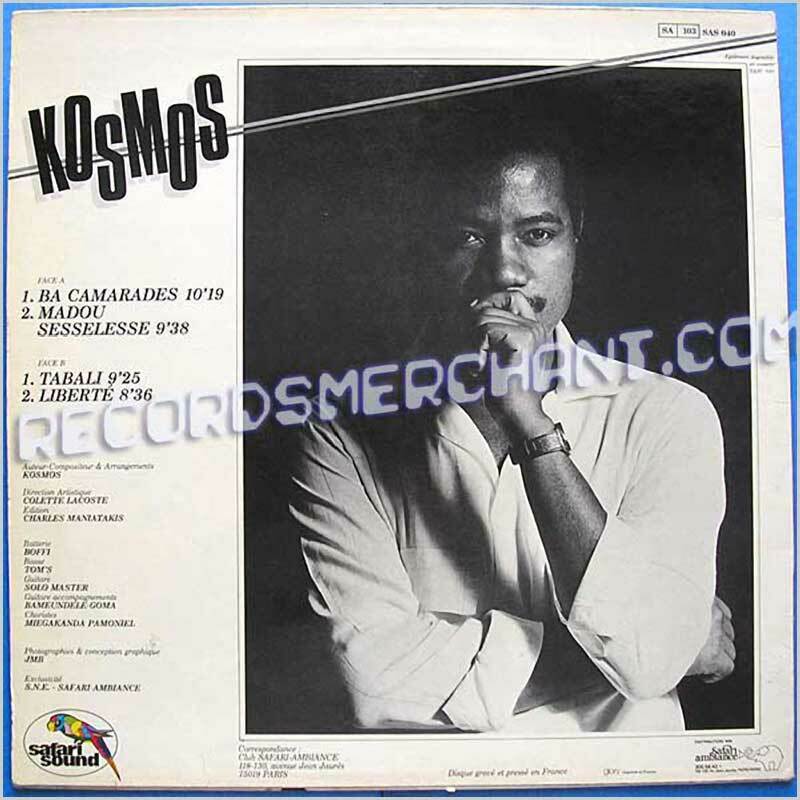 Kosmos was born to a musical family that included two other prominent singers, his brothers Pierre and Michel Moutouari. 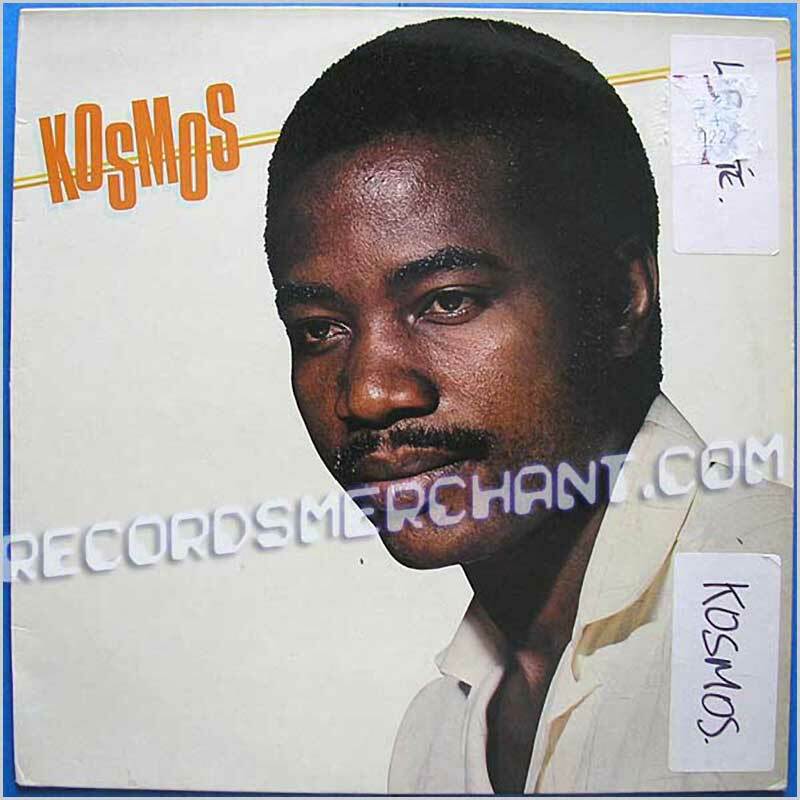 Kosmos made his professional debut in 1965 in one of the great Congolese rumba bands, Bantous de la Capitale of Brazzaville. He is considered to be one of the Congolese rumba's leading singers. This LP is rated as one of his best releases. 4 tracks including: Ba Camarades, Madou Sesselesse, Tabali, Liberte. Jacket has two sticker on front, vinyl looks unplayed.